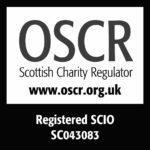 The Board of Trustees are the of individuals who have legal responsibility for all charity activities. Brendon McIlroy is a Glasgow-based event specialist and project coordinator with over 16 years experience working in the industry. Since 2003, Brendon has worked in various capacities for organisations such as Edinburgh Festival Fringe, Glasgow West End Festival, South Side Festival and the Edinburgh TV Festival. 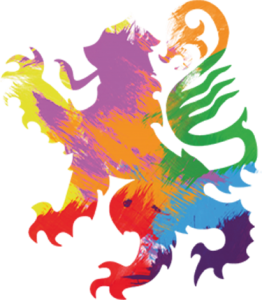 As well as being Vice Chair of Pride Glasgow’s board, Brendon is Senior Event Cordinator for the Glasgow West End Festival and Artistic Director of Halo Arts. I am an enthusiastic and assertive project Manager with experience at working at both Operational and Strategic levels. I have extensive knowledge and understanding of the current funding landscape within Glasgow and Scotland and operational experience in Managing an IGF (Integrated Grant Fund) project. I have a profound admiration for locally managed voluntary organisations and charities having being one of the founding members of Castlemilk Youth Complex and have experience in developing and maintaining strong relationships with committees, ensuring good governance and growing together to shape and manage the organisation. I am a highly experienced Youth Work practitioner with over 20 years’ experience in the southside of Glasgow as well as Trainer, Coach and mentor with experience in both formal and informal programme design. Fiona McTaggart has over 20 years experience within the social housing sector at a senior level. Fiona is currently the Group Chief Executive of Scotland’s first Housing Association where she leads a team of over 70 staff providing affordable housing, financial and community inclusion and repairs and maintenance services. Fiona is well experienced in nurturing and shaping organisations to equip them to deliver high quality services. She is committed to working closely with local partners to nurture and enhance Pride’s role in the community and to continually improving and develop our services. Fiona is a straight ally to the LGBTI+ community and as a parent of a LGBTI+ child is a champion for inclusive education. Gary Maguire MBE is a Community Learning and Development professional with over 20 years experience working in both local government and the third sector. Gary has extensive skills and experience in community engagement, fundraising, project management, facilities management and youth work and was named Scottish Youth Work Manager of the Year 2013. Gary is also a member of the UK Governments Queens Award Committee which recognises the work of voluntary organisations and charities across the country. Gary also received an MBE in The Queens birthday honours in 2015 for services to the community in recognition for his voluntary work within the South West of Glasgow. Lynne Johnston has worked within the live music sector in Glasgow for over 18 years across festivals, concert promoters and venues. She is currently a Freelance Events & Marketing Manager, working on Glasgow Jazz Festival’s development and delivering promotional marketing campaigns for TRNSMT Festival and previously T in the Park. Alongside this, she DJs and promotes club nights such as Pretty Ugly Club, Obsession and We Love Pop Glasgow. My name is Paul and i’ve been a volunteer for Pride Glasgow for the past 5 years. I started my journey as a stand in volunteer and from there, my love for Pride grew. I quickly built up a rapport with attendees and stall holders and was made team leader in 2016. In 2018, I became an area co-ordinator and was in charge of 4 different areas of the festival. I have become very passionate about Pride, not only did it help build my confidence but it always brought a sense of togetherness within the LGBT+ community. It allowed not only our community in Glasgow but the wider one and our allies to stand together and celebrate who we are. Unfortunately for the community, the festival in 2018 was not what most had hoped for and I wanted to be part of the big change coming for 2019. I currently have around 8 years legal knowledge and have to date secured an HND in Legal services which allowed me to qualify as a paralegal in June of 2016. I wanted to further expand my knowledge by taking on my LLB and in June of 2019, I will gain my clinical LLB in Scots Law. I want to use my skills and experience to ensure that everything is done above board and in line with the governance and quality that is expected from a charity and that Pride and its new board do not fall into old habits. I have worked on projects that delivered a safer Scotland to the refugee and migrant community by helping them understand the basic laws of Scotland in order to help them integrate better. In doing so, I was able to build up trust within those communities and this is something that I want to ensure we as an organisation manage with our LGBT+ community and our allies. I am wholly committed to delivering the best possible festival for our community and one which will be an enjoyable and safe experience for all. Hi my name is Thomas I am 42 years old from Glasgow I am a trade union activist and have various duties within the organisation to which I am a member including a seat on their equality forum in the LGBT+ seat. Helping to champion equality and openness in the workplace and in the community. I am 27-year-old gay Glaswegian. I am currently employed by the Scottish Ambulance Service, where I work in a fast paced, high stress, front line role. Previously I worked for the Royal Voluntary Service as Service Manager, managing the community services in Glasgow, Argyle & Bute and Ayrshire & Arran. In my free time I enjoy volunteering with St Andrew’s First Aid where I have been a senior volunteer, I have supported several organisations in event planning including Pride Glasgow in 2013, the last free Pride and I have previously been a founding Trustee of an equality and diversity charity where we ensured strict governance, financial and reputational control for the board, paying attention to board accountability. I believe I will play an integral part in the future of Pride Glasgow. I believe I have a range of skills that will help reaffirm Pride Glasgow as the core of the Queer Community in the city. I believe in strict finance and governance controls to ensure Pride Glasgow is beyond reproach. I believe in a free pride, a pride that listens to its community, a pride that is accountable, a pride that reaches out to the wider community, a pride that is welcoming, a pride that fights for rights and builds bridges.